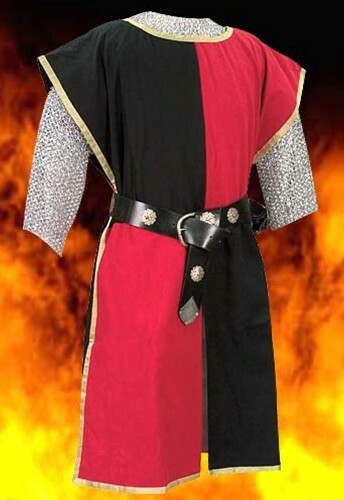 These Knightly Tabards make a great simple costume for any Ren Faire event! One size fits all--they are open on the sides, with front and rear splits for ease of movement. Hand-washable, they are made of strong and durable 100'% cotton fabric with a full polyester lining. Choose from four different color combinations. Knightly belt sold separately. Chainmail shirt no longer available. To order, choose your color from the dropdown list, then click "Add to Cart."